How the fluffy-tailed rodents, which have Southern roots, settled in L.A. The Veterans Administration campus near UCLA was once a home for former Civil War soldiers. Many were from the South, and some brought their pet squirrels along when they traveled west (“pets,” that is, until they were dropped into the stew pot). The fluffy-tailed rodents lived off table scraps until hospital administrators determined that government resources shouldn’t be used to feed the animals. In 1904, the vets were forced to release their fuzzy friends onto the VA grounds. 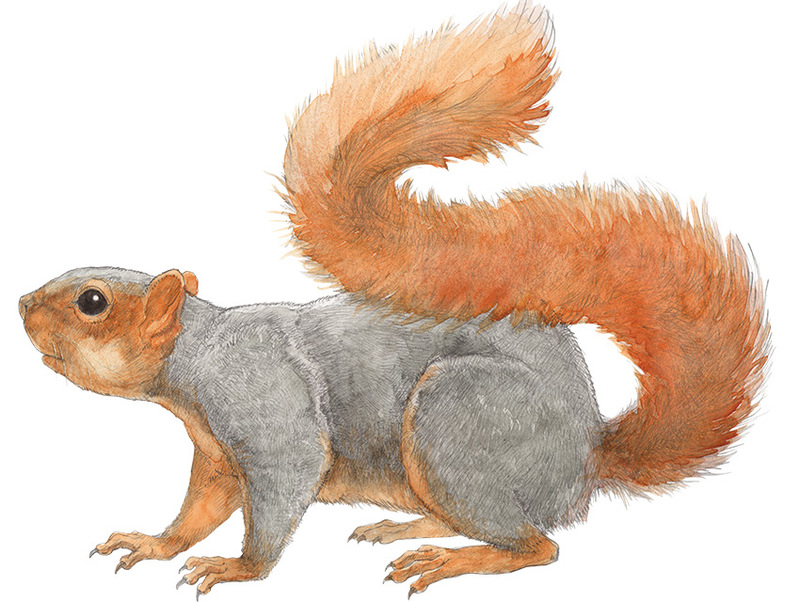 Unlike western gray squirrels, which rely on native oak trees for food and shelter, eastern fox squirrels are skilled survivalists, thriving everywhere and eating anything. By the 1930s, the population had spread far enough to enjoy the Valley’s tasty citrus and walnut orchards. A telephone-wire highway system allowed the tree dwellers to avoid cars, so fox squirrels have now expanded well beyond L.A.’s boundaries. Since the more habitat-specific western grays stay mainly in Griffith Park and the Angeles National Forest, chances are that the varmint in your backyard is an adorable invader that’s here to stay.